Over a year ago I started this website to help my friends and family find the best aftermarket exhaust systems for their cars and trucks. However, today many of my readers what to know how to fix common OEM exhaust and catalytic converter problems. Among these problems are stubborn OBDII error codes like P0430. The P0430 check engine light code, like P0420, means the catalyst system efficiency is below the required threshold. Simply put, this means your car is adding more pollution into the air than it’s supposed to. This can be caused by a fuel system problem, a clogged catalytic converter, damaged O2 sensors or a combination of all three. One of the quickest and easiest ways to eliminate this P0430 error code is with an inexpensive bottle of catalytic converter cleaner. 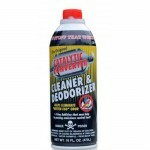 While not fool-proof, catalytic converter cleaner will help remove any carbon buildup in the exhaust system that may be causing your error codes. All you need to do is pour in a 16-ounce bottle into your gas tank and drive until the tank is almost empty. Next you’ll need to reset your OBDII codes and drive around until the system is re-calibrated. 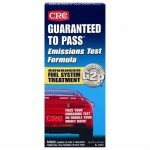 If you return to a emissions testing facility immediately after resetting the OBDII codes, you would not pass. The on-board computer in your car needs time to reset itself automatically. Depending on your vehicle, this may take up to 50 miles to reset and could require you to drive at variable speeds such as on the highway and on side streets. If catalytic converter cleaner does not fix your P0430 OBDII code you may need to take additional steps to fix the issue. At this point if you take it into the dealer or your local mechanic they will probably recommend that you replace your catalytic converter. Don’t do this yet! Before you get suckered into their gimmicks, let me show you another shortcut. 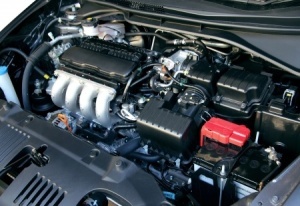 Usually vehicle emissions problems are caused by fuel system and tuning issues. These are common issues that arise as cars get older and have not had proper routine maintenance. Here’s what I recommend as your next steps. First, you should replace your spark plugs and spark plug wires to make sure these are not the root of your emissions problems. Next, replace your air filter as well as the fuel filter. Finally, you should replace your upstream and downstream oxygen sensors. Once you have triggered a P0430 error code it is likely that your O2 sensors will have carbon buildup and may not be reading correctly. You will need a special tool to remove these. 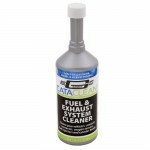 Ok, so you purchased a bottle of catalytic converter cleaner, gave your engine a much needed tune up and the P0430 error code has still not gone away. Now what? The simple answer is that you need a new catalytic converter. Once the delicate metals or ceramic materials inside the converter have been damaged, there is little you can do. You’ll need to bite the bullet and purchase a replacement. If you take it to a local shop to have it replaced it could cost you well over $1,000 in parts and labor. Instead you can order a new converter online for under $100 – sometimes even less! Before you replace your catalytic converter try this first!